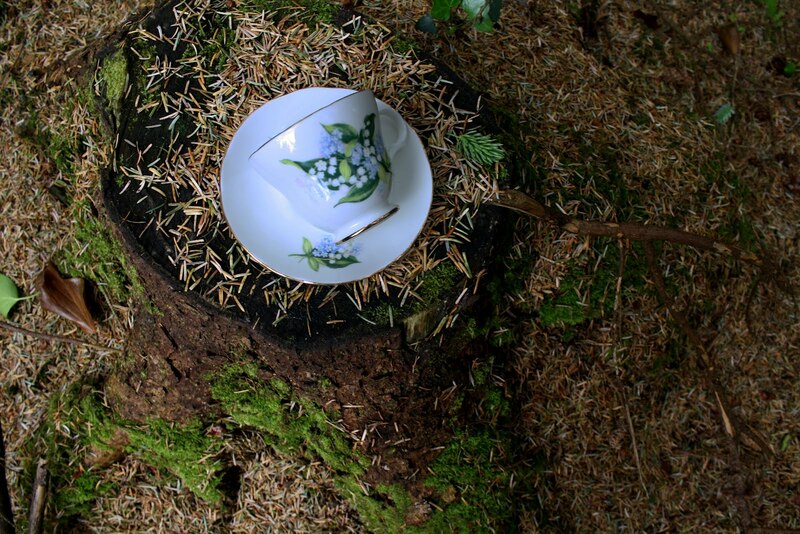 Remember my post on the Teacup Chronicles? Well, today was the first day that we went out to take photos! The stump was our tea table! And you'll be pleased to know that it was a success! Shauna, Sorcha, Alan and I, trotted off to the forest to get snapping. 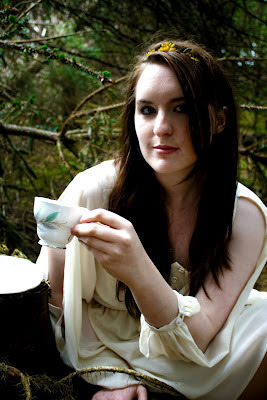 Dressed in our vintage-inspired outfits we looked like quite the pixies posing in the woods, teacup in hand! After a load of photos were taken in and around the trees, we decided to feck it, YOLO, Carpe Diem and whatever other relevant phrase you can toss out, and we threw ourselves into the water! We took plenty of photos of us models looking like drowned mice (well, it sounds cuter than rats!) in the stream. Photos shall be posted in the next few days. So far I've only edited a few photos, so I'll upload more when I've sorted that out, and when I've got the go ahead from the project manager Sorcha of course! By the way, this is pretty much the vision of Sorcha and Shauna, so you should follow Sorcha's blog to get the low down on the antics. And obviously I'll keep you informed too!